Worship Services - Slatington Baptist Church Slatington Baptist Church is a 115-year-old church located at 509 Main Street, Slatington, PA. The Church is led by the Rev. James LeVan. Enjoy lessons, fellowship and refreshments. Parking is permitted on the parking lots of St. John's Lutheran and St. John's (Reformed) UCC churches on 2nd Street. Choir Rehearsals are held at the church on Thursday Evenings from 7-8:30 pm. "The Light of the World" is a 5-minute Bible devotional since 1982. 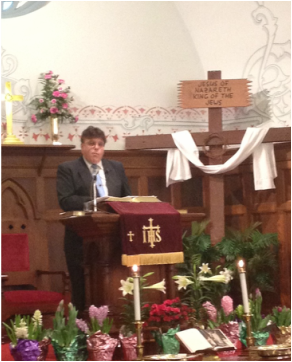 It continues to broadcast with messages by our Pastor on Sundays and Wednesdays at 8:55 am and other times.